Projects are the backbone of the hobby because it takes a lot of time and money to get a beat-up old car or truck to a show worthy level. This is generally a clinical process because the automotive world is technical by nature but that doesn’t mean the person involved has no attachment to the project’s subject. 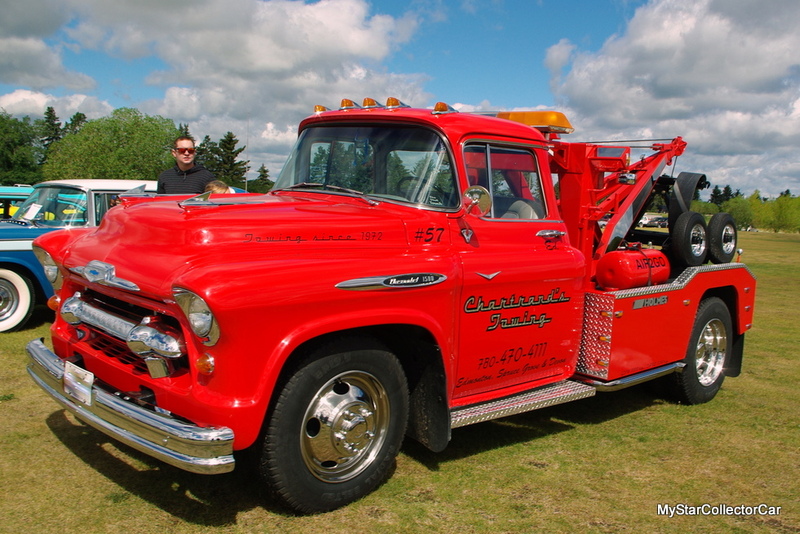 This 1957 Chevrolet custom tow truck is one of those projects where the builder definitely became attached to the vehicle. 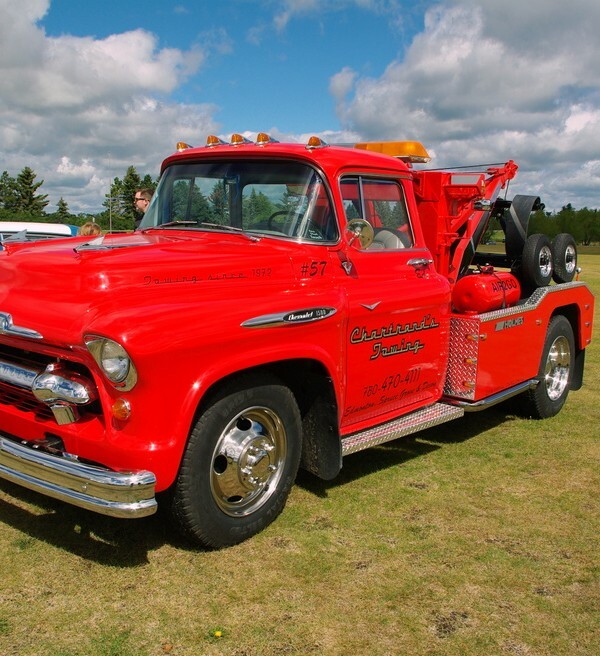 Ed Chartrand owns a towing company and he’s been in the business for over 45 years so that inspired him to “do something different” with his ’57 Chevy. 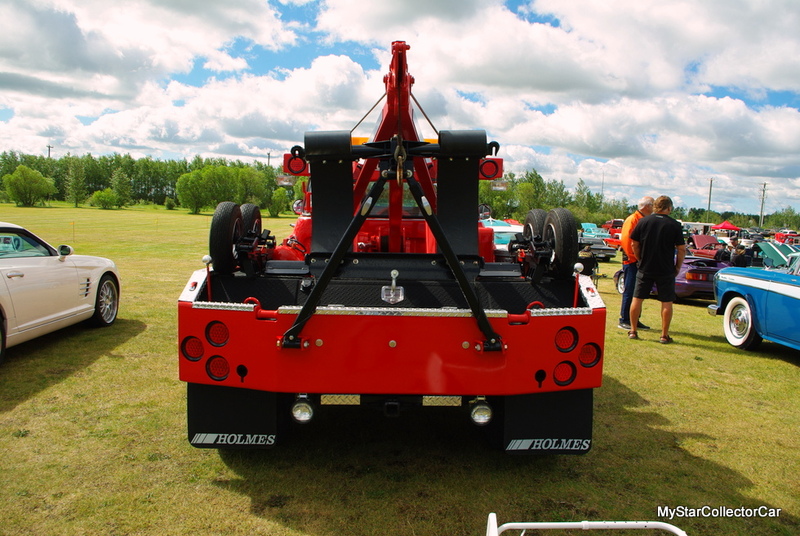 The truck had a flat deck when he bought it and his original plan was to use it to pull a 5th wheel trailer but he thought about his connection to the towing industry and a new concept was born. 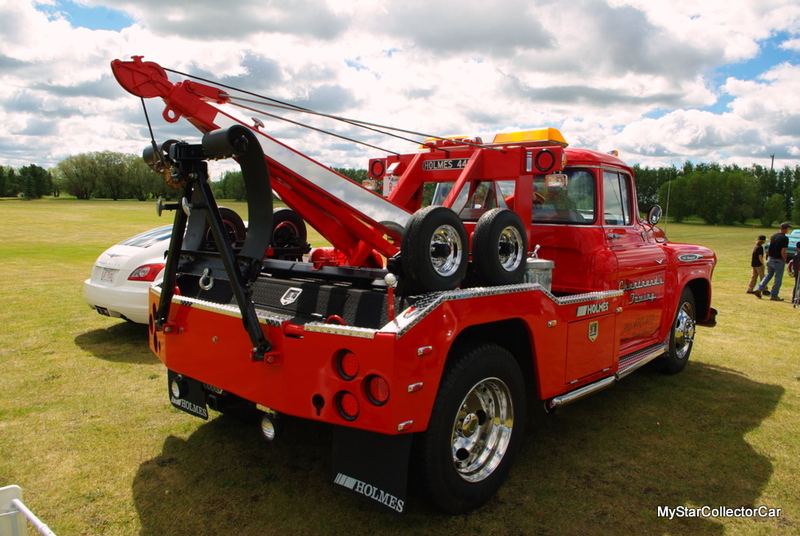 Ed wanted to build a custom tow truck with features from various decades so the idea became “something that other people didn’t have—something that could be copied but not duplicated”. This truck definitely fits the category. 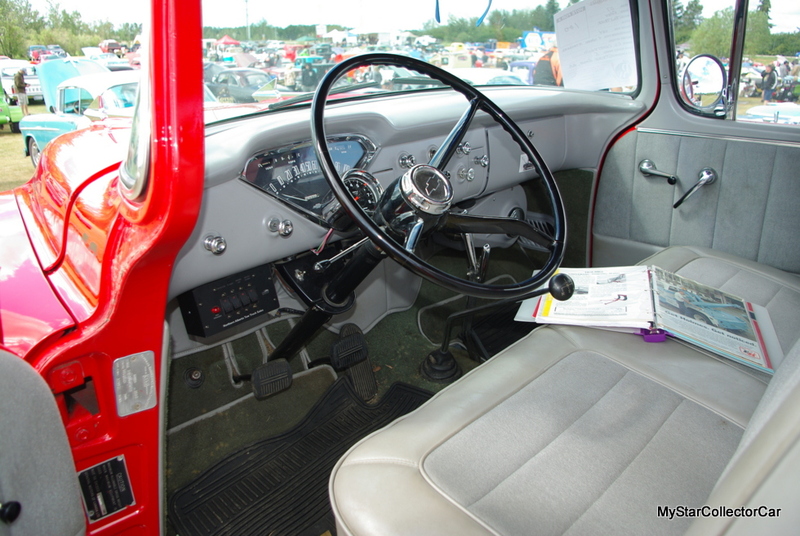 He needed a very talented guy to build this truck but when Ed went on a search for a suitable candidate he was up against a booming economy so most guys didn’t want to take on extra work. That delayed the project but it didn’t kill it and eventually Ed found the right guy. Ed said the new candidate was a “guy who could do everything”. Ed had asked him earlier and “one day he phoned and said he wanted to take it on and he gave me a number—a very good number”. That was enough to kick start the project so Ed and his friend mapped out a game plan for the Chevy. 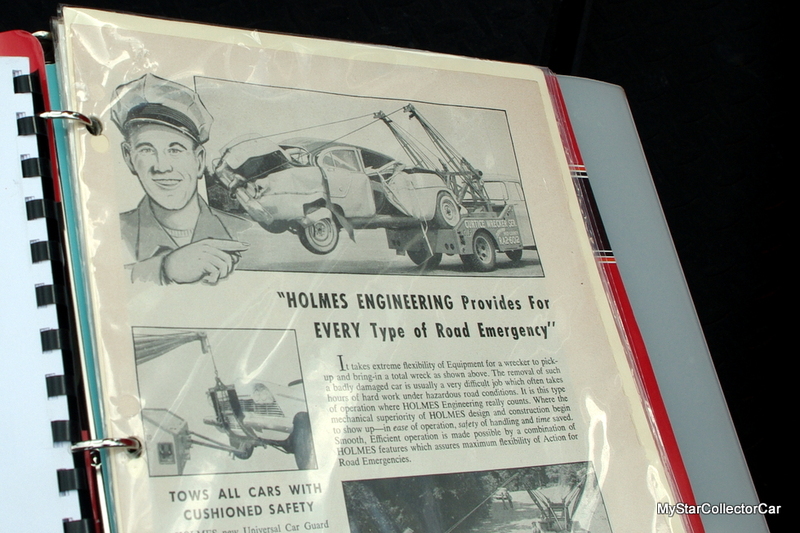 Ed wanted a period correct wrecker so he went for a Holmes 440 because he considers it to be one of the best engineered systems ever built. 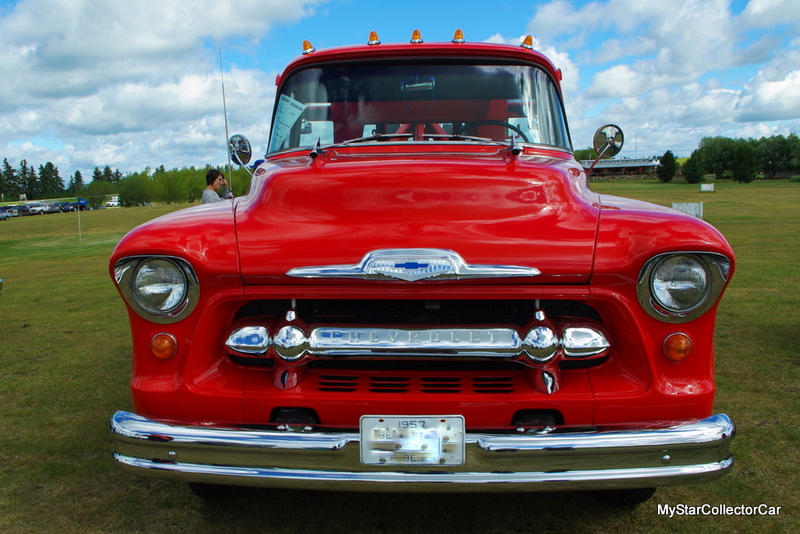 He added a number of cosmetic touches—plenty of chrome, cab lights and a 25-year-old light bar to add to the overall appearance of the 61-year-old workhorse. This was a give and take process and it took five years and a few heated debates but the results are spectacular. 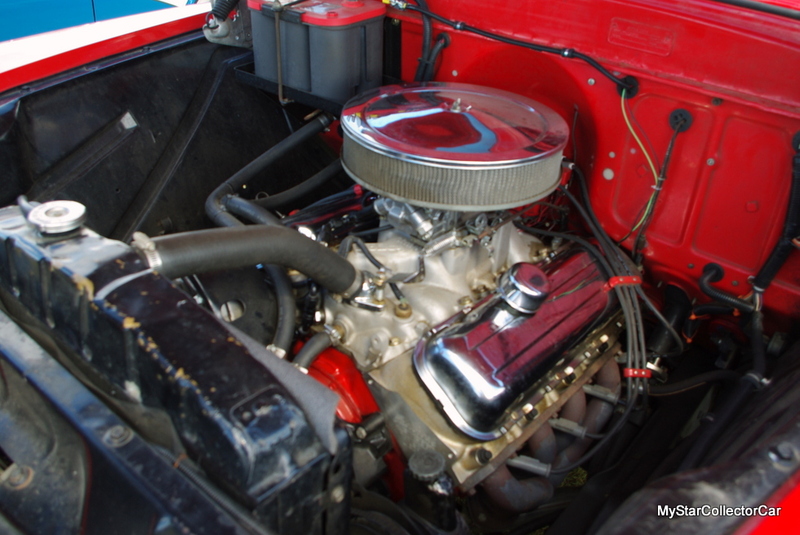 This is a 454 cubic inch big block (recessed in the firewall to fit) with 500 horsepower but it’s not a speedster because it still has the original stump-puller farm gear transmission so Ed said it gets about 8 miles per gallon. Despite those dismal mileage numbers, Ed literally drives this truck every day as a company truck—but not in a tow truck role even though it could easily handle the job. 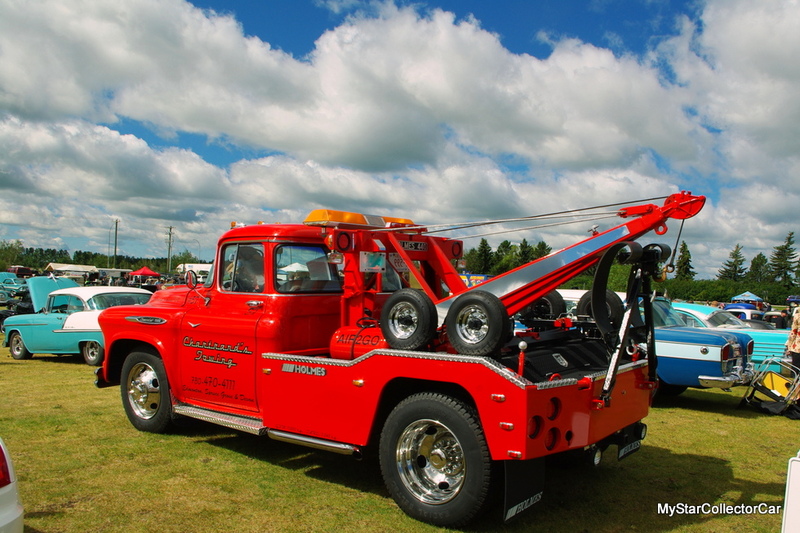 This is a rolling billboard for his company so his accountant is fully supportive of his ’57 Chevy tow truck. The real story behind this project is the guy who built it. He was totally immersed in the truck and he did it for the right reasons because he stuck to his original quote even though he went over—by a large number—the hours he thought it would take. Ed said it wasn’t the money that mattered to his buddy—the truck was far more important. 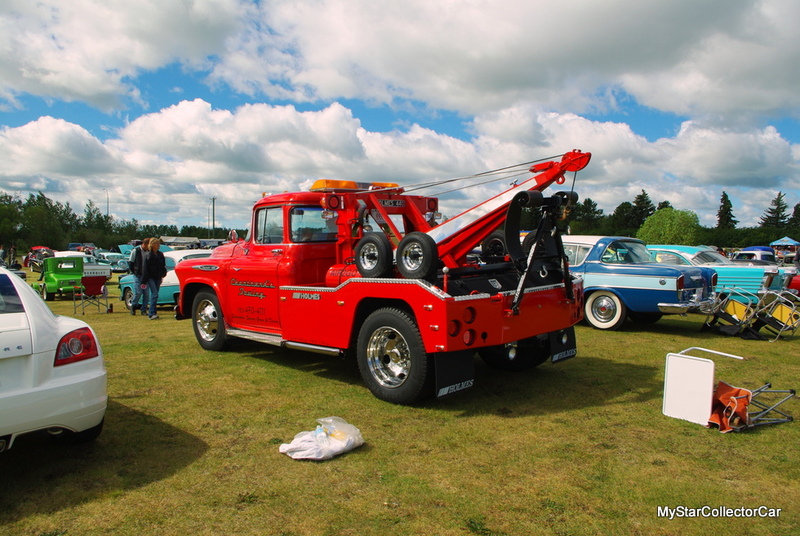 There was a difficult moment when Ed finally picked it up because the guy had grown so attached to the old Chevy but he did promise to bring it around on a regular basis. 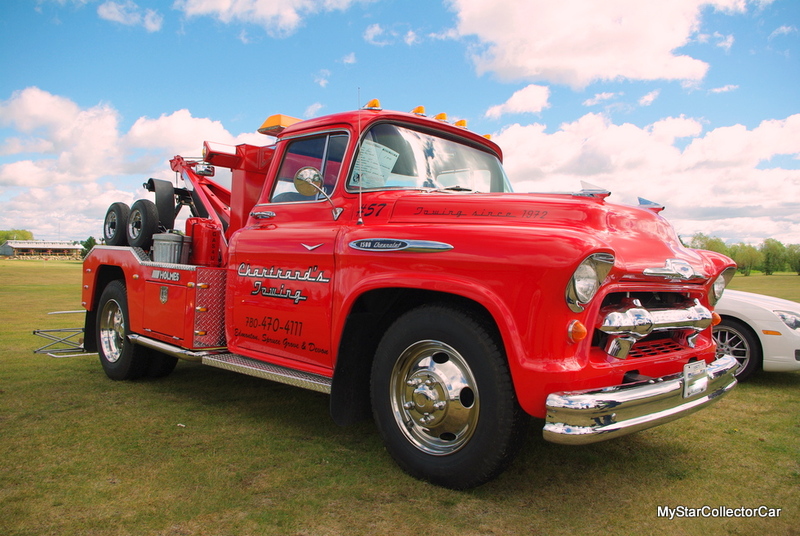 In the end, this ’57 Chevy tow truck became what Ed called a “work of love” because it’s the last big project his friend will ever do—that’s a pretty good way to end a career.